Nicki Minaj has been in a relationship with Safaree Samuels aka SB for over 10 years. Safaree was also Nicki’s hype man/backup singer/personal assistant but according to TMZ, the couple has called their relationship off. TMZ reports that the reason for their breakup is the fact that Safaree had become quite jealous of Nicki’s fame and had started to get hostile – a reaction that Nicki Minaj would not tolerate. 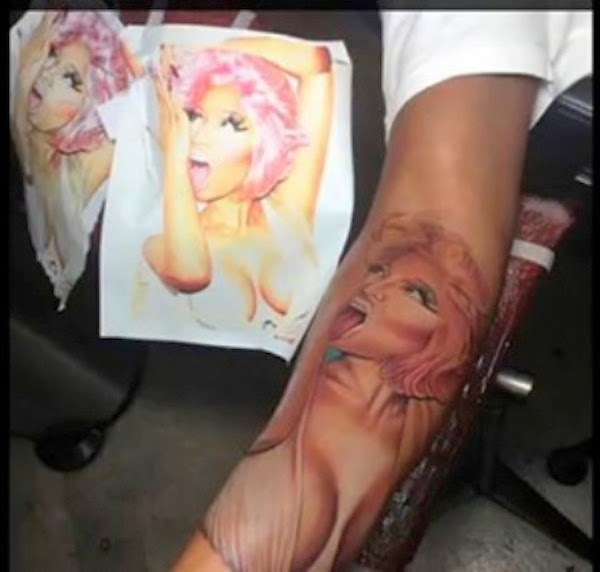 The confirmation of their breakup comes after Safaree apparently covered up his tattoos of Nicki Minaj with new designs. Safaree had 3 tattoos of Nicki that he proudly showed off– her face on the right side of his chest, her name on the left side of his chest and her upper body on his right arm.